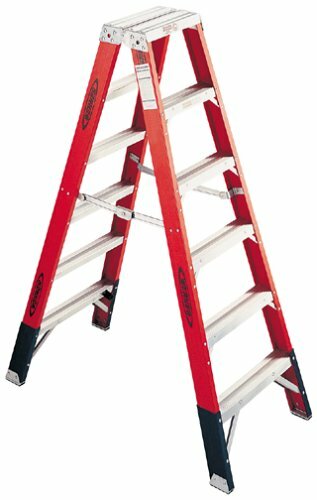 Werner Co. has been making quality ladders and ladder accessories since 1922. They make fiberglass, aluminum, and wooden ladders but the emphasis these days is on fiberglass. Werner Ladders prides itself on designing, engineering, and manufacturing a climbing system that gives the user productivity, durability, and safety. You can purchase Werner ladders from a wide variety of vendors including, but not limited to, Lowes, Home Depot, and any local hardware store. There are several features and technologies that Werner employees to make sure that you get the highest quality product you can. There are two ways that Werner can help with your productivity by way of the ladder. The first is by purchasing Werner ladder accessories that help you store tools and items close by while you are working on the ladder. Not having to get down every time you need a new tool will help save you time and energy, therefore being more productive. One example might be different top steps on A frame ladders. One variety might have a hole where you can store a drill, hammer, or other hand tools. Another variety might have hooks on the sides or in the front for paint cans, etc. Still others might have slots for paint trays or bins for nails, screws, etc.. 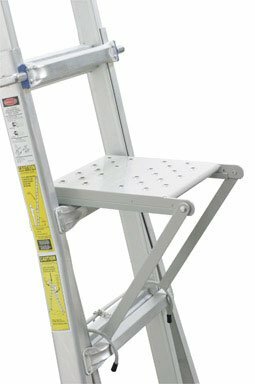 There are also accessories that can be attached to the sides of an extension ladder that will hold tools or give you a place to hang a paint can. I like to use the paint hooks for a garbage bag when I am completing my gutter cleaning. Werner ladder accessories are convenient and help with a homeowner’s productivity. Werner extension ladders have another characteristic that helps with productivity and that is comfort. Werner extension ladders have what they call D shaped rungs rather than round rungs. The D shape means that the side of the rung where the user steps is flat for more comfort. The bottom of the run is curved causing a D shape. If you can stand on the ladder more comfortably, you can stand on it for longer periods of time therefore increasing your productivity. Not only are the rungs more comfortable, but they are also slip resistant so they increase safety as well. Werner ladders are also very durable and worth the investment. Werner makes many small improvements on their ladders over the competition that make them especially durable and long lasting. For example, the EDGE professional bracing system provides a much stronger base for the ladder to stand on and gives the homeowner extra support. Another important innovation is aluminum locks on extension ladders. 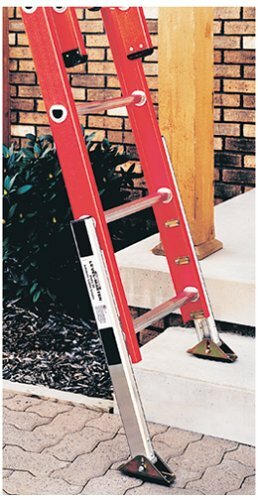 This rugged locking system keeps the extension ladder from moving once you find the position you want to keep. The locks will hold the overlapping rungs together and prevent the ladder from adjusting in length or twisting. Werner also used aluminum braces on A frame ladder steps so that each step is supported as well as possible. The aluminum straps that brace the steps will not rust when exposed to rain water or moisture so they are much less likely to get soft or breaks under pressure. Werner Company also considers safety a top priority. There are many ladder accidents every year that result in serious injury or even death so it is important to not only follow safe ladder practices, but also have a product that is as safe as possible. 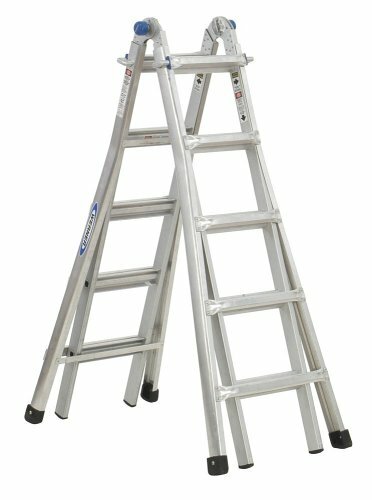 Werner makes a complete line of ladders so that you can find one rated for the job you need. It is always better to error on the side of caution so you should imagine the heaviest weight you can think of putting on your ladder and then add some weight to determine what capacity you need. Werner also uses what they call an Alfo rung joint. The Alfo rung joint is a special way that Werner attaches each rung to the side supports of the ladder. They are connected in such a way as to avoid twisting of the ladder like a double helix. Another important safety feature on all Werner climbing systems is swivel feet. Feet that are movable and can even be swung into a ninety degree position from the ground are essential for using the ladder on even terrain. If the swivel feet are not enough, Werner Co. sells a ladder leveler that will allow you to set up your ladder on two different height surfaces.